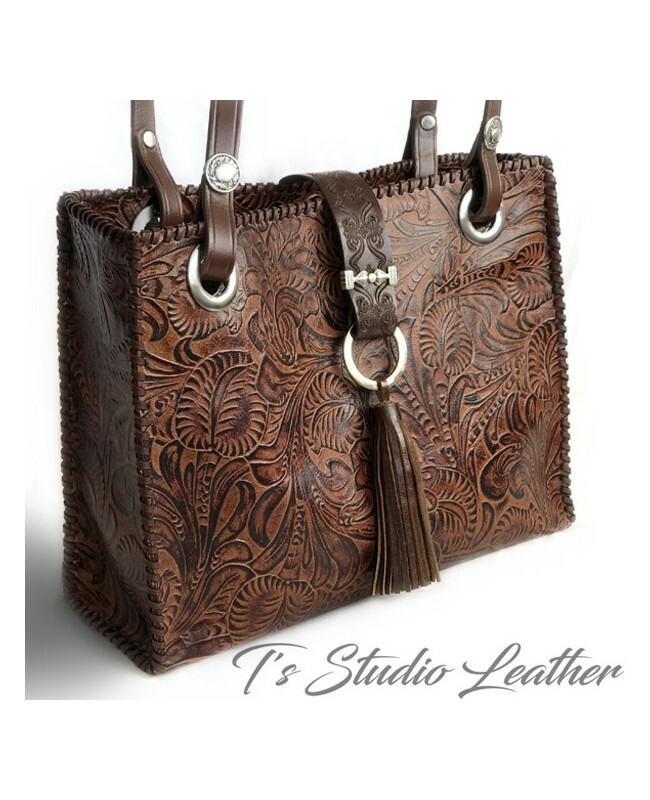 Genuine cowhide leather embossed in a floral tooled pattern in a rich whiskey brown. Edges have been whipstitched by hand with a deep brown deerskin leather lace. The front flap is made with textured leather and matching leather tassel. Interior is made with a fun animal print fabric in brown and beige. This handbag is available in several leather colors and textures. Each handbag is personally made and handstitched. I am happy to accept custom orders. If you see something on my website, but would like a personal design or color, please contact me for a custom order quote.